Every year, during special occasions (such as Christmas), we spend money to purchase gifts for those we love. Too often, however, our gifts aren’t really needed. And our God-entrusted money that could have been used to lay up treasure in heaven and help people who really do need it—such as those who lack basic necessities such as food, safe water and adequate shelter—is wasted. Is there a way to express our love for family and friends on those special occasions and also serve the “least of these” in our spiritual family? We’ve made the process very simple. It all begins by clicking here. Then, let your heart guide you to meaningful gifts. 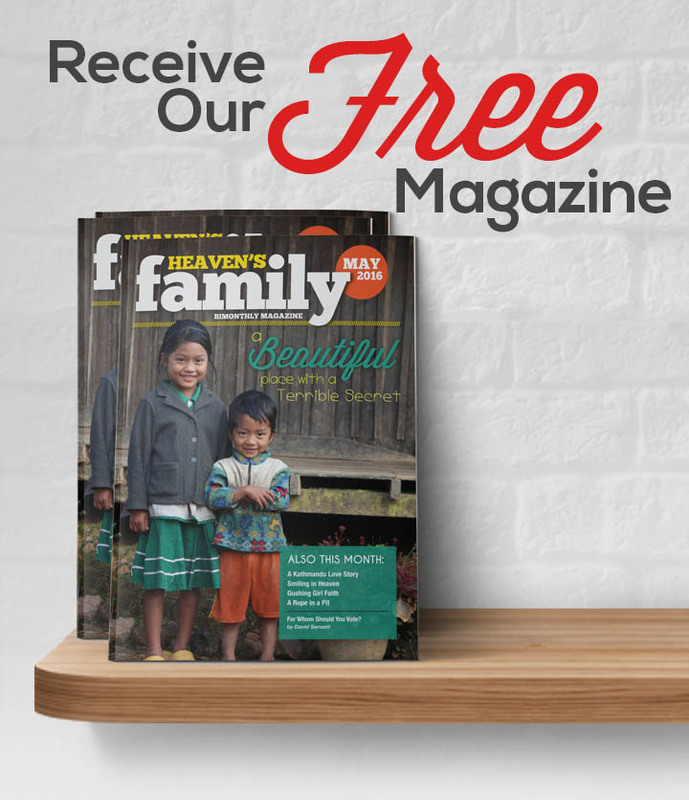 Heaven’s Family’s2014 Gift Catalog can be used for any gift-giving occasion—such as birthdays and anniversaries—from now through the end of 2014. We’ve also designed a special card for gifts given as memorials. P.S. If you’d like to receive a physical copy (or multipe copies) of the Giving Hope Gift Catalog in the mail, just let us know by emailing [email protected].